British MPs, Judicial Inquiries, US Senators, Public Prosecutors, Trading Standards, Independent Police Commission, Newspapers and anyone else who knows them are scrambling to take a piece of the Murdocks. There is a real danger that the hacking and police corruption scandals are about to submerge under a welter of righteous buffoons attempting to polish their images by attacking the Murdocks. As all of the bodies and individuals scramble over each other the Murdocks may be able to stave off their attackers by pleading, with some justification, that they can’t answer anyone’s questions to protect their legal rights. If there is anything as unpleasant as the News Corporation methods of acquiring information to boost circulation of their newspapers, it is all of the deeply flawed individuals seeking to profit from the scandals, led by Ed “Wallace” Milliband who as a politician was as close to the Murdocks as anyone could get and also employs a former News Corp employee who has been involved in hacking. It is clear from the long rant in Parliament by Gordon “Bottler” Brown that Labour politicians are anxious to avoid their very close contacts with News Corp coming under scrutiny. 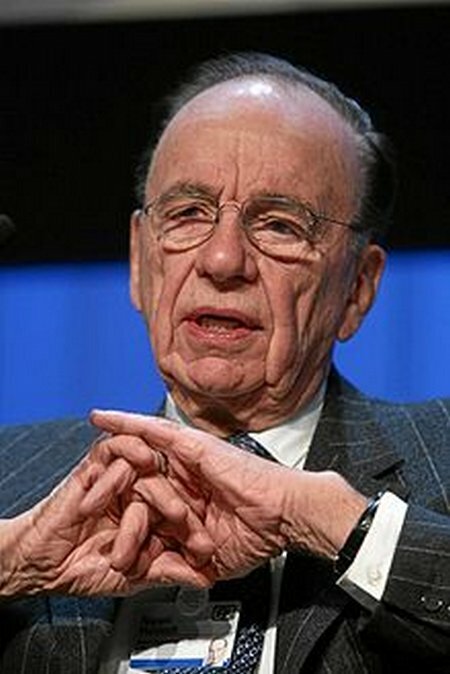 Some Westminster watchers are coming to the conclusion that the worst excesses of News Corp were under the Blair Brown Regime and that part of the fear and anger in the Labour camp is because they feel cheated by the Murdocks switching their dubious support to Cameron and the Tories. This overlooks the reality that Murdock only ever followed public opinion, never formed it. When the Blair Brown Regime was exposed for serial incompetence and corruption, voters turned away and Murdocks news outlets followed them. Many of those currently outraged have spent years avidly reading Murdocks papers and enjoying the salacious content that was often obtained by very dubious and illegal means. It is also clear that many MPs, such as the oily Keith Vaz, one-time self-styled Minister for Passports and Visas (stop me and buy one) are taking the opportunity to vent their anger at previously having been exposed by News Corp. It is clear that the ambulance chasers are moving into gear and the claims for damages are about to deluge on News Corp. These claims are from people who were very keen to profit from self publicity in News Corp papers and on television. This all overlooks that public service has become corrupt and incompetent in many countries and is matched by the news media. If politicians are going to make a career of attacking the news media, they should quickly put their own houses in order and rapidly close down their own surveillance systems and other scandals that have oppressed the public.